15 Jan 2019 --- There have been many politically dramatic moments in the Brexit saga with some bizarre twists and turns along the way, but today’s vote on the Withdrawal Agreement is one of the most significant. MPs are gathering in Parliament to either accept or reject the deal on how Britain will exit the European Union (EU). The food industry watches with bated breath, pinning their hopes on approval even though most realize there is a very slim chance of it being green-lighted. Amid much expectation that UK Prime Minister’s Theresa May’s deal will be rejected in the UK House of Commons later today, many in the food industry are still calling for clarity and pushing for the Withdrawal Agreement to get the backing it needs. Fears are mounting daily that the UK faces the very real prospect of a “no-deal” Brexit which has huge implications for supply chains, logistics, borders, tariffs, trade, food prices, availability, food inspections, certifications and more. There is not one sector that would be untouched by the event of a “hard Brexit” and various organizations have been working solidly for months to try to lobby government, urging ministers to avoid a “no-deal” at all costs, in a desperate bid to avoid the slew of potential pitfalls that come with it. Ahead of today’s vote, the EU agri-food chain also points to the dramatic economic consequences of a “no deal” Brexit for EU and UK farmers, food and drink producers, traders in agri-food commodities, as well as for consumers. In 2017, EU27 agri-food exports to the UK amounted to €41 billion (US$47 billion) while the UK exports to the EU reached €17 billion (US$19.5 billion). This trade and the businesses behind it employ 44 million people across the EU28, reflecting the degree of integration and complexity of the food supply chain. The exit of the UK from the EU without a deal will inevitably lead to significant trade disruption and a “lose-lose situation for the entire agri-food chain,” says European farmers' group Copa Cogeca, European Liaison Committee for Agricultural and Agri-Food Trade (CELCAA) and FoodDrinkEurope. “Burdensome and unavoidable procedures, such as official controls of goods, sanitary and phytosanitary inspections, veterinary certificates and import tariffs will lead to increased delays for checks at borders and raise the costs for both sides,” says a joint statement. “Agri-food operators across the EU27, and in the UK, as well as the relevant competent authorities will need sufficient time to adapt to the new conditions that Brexit poses. A transition period is therefore vital for operators and authorities alike to suitably prepare and adjust. 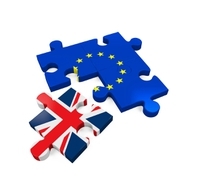 It is important that during this period, the UK would continue to abide by existing EU regulations governing food production and to honor its existing commitments,” the statement concludes. Yesterday, the UK government announced the start of a 12-week consultation period asking if there should be more restrictions on how retailers promote food and drinks that are high in fat, salt and sugar (HFSS). It is part of a proposed clamp down on unhealthy food promotions and to restrict some retailers from bombarding customers with strategically placed promotions on confectionery, such as price drop offers and multiple buys deals around shop entrances, at the end of aisles and at tills. Few sectors could be more prone to the impact of a “no deal” Brexit scenario than dairy, with vast volumes of product moving between the UK and EU trading partners on a daily basis. There is still little clarity for a sector that traditionally offers low shelf-life products and requires highly integrated supply chains. The liquid border that exists between Northern Ireland and the Republic of Ireland is central to the whole debate and is also crucial for the milk processing trade. FoodIngredientsFirst recently spoke with Alexander Anton, Secretary General of the European Dairy Association about the potential impact of a no deal Brexit on dairy. You can read more here and listen to the podcast interview here. The e-commerce industry has joined the growing legion of food industry representatives who say a “no-deal” Brexit would lead to chaos in Britain. E-commerce turnover in the UK is significantly higher than in all other European countries, according to Ecommerce Europe. It is a crucial element in terms of retail and trade with the EU27 countries. A “no-deal” Brexit would result in serious bottlenecks in the flow of goods and parcels between the UK and EU. For the food industry, cross-border e-commerce retail involves groceries – with the exemption of perishable goods which are delivered through online orders in a domestic capacity only. An agreement which would ensure a smooth and fast flow of goods and parcels between the UK and the EU once the UK leaves the EU is of critical importance, in order to avoid chaos at border crossings. In the case of a “no-deal,” European and UK Small-to-Medium-Sized-Enterprises (SMEs) and consumers would ultimately carry the economic burden of the “no-deal” scenario. Ecommerce Europe Secretary General, Marlene ten Ham, tells FoodIngredientsFirst how such a deal will be hugely disruptive to the UK, particularly since cross-border retail has been exponentially growing in Europe in the last decade. “The development of e-commerce through parcel delivery has significantly contributed to this growing, commercial trade channel,” she says. However, Brexit threatens the current growth and consumer-driven demand and a hard Brexit will lead to a serious disruption of cross-border retail, e-commerce and related trade flows. “It is crucial for the industry and for European businesses and consumers to be granted legal certainty in order not to hamper their businesses, and that goods and parcels can keep flowing efficiently and smoothly between the EU and the UK. It is in everybody’s interests that the UK and EU economies will suffer as little damages as possible as a result of Brexit,” ten Ham says. A “hard” Brexit would have devastating ramifications for the European sugar industry with tariffs of over 100 percent entering into force if no deal is signed prior to the UK’s March 29 exit date from the EU. This is according to Guillaume Planque, Head of Product Management – Sugar & Sweetening Solutions at French-headquartered Tereos, the world’s number 2 sugar producer. “If the UK were to exit the EU without a deal, then the rules of the WTO will probably apply on sugar too. This means that you will get an additional tariff of €419 (US$481) per ton on white sugar and €339 (US$389) per ton on raw sugar. This is an over 100 percent price increase for UK food and drink manufacturers,” he explains to FoodIngredientsFirst. The outcome of what happens today in the House of Commons could result in several pathways. The more straightforward, if not highly unlikely path, would be for an unexpected yes-vote which means the Withdrawal Agreement goes forward and indeed Britain will leave the EU on March 29 with a deal. However, it is much more likely that MPs will shout down May’s deal and the next steps in this continuing Brexit saga will be as confusing and messy as what we’ve come to expect. “Either a ‘no deal’ Brexit, that would cause turbulence for our economy, create barriers to security cooperation and disrupt people’s daily lives. Or the risk of no Brexit at all – for the first time in our history failing to implement the outcome of a statutory referendum and letting the British people down. These alternatives both remain in play if the deal is rejected,” she argued. What is also extremely likely to remain in play if the deal is rejected are continuing demands for May to resign – which will also depend on the margin of defeat – calls for another referendum in the UK and Opposition Leader of the Labour Party Jeremy Corbyn trying to prompt a General Election. All of this political uncertainty provides little comfort for the food industry. Brexit Withdrawal Agreement Vote Parliament House Of Commons Fooddrinkeurope Food And Drink Federation Copa Cogeca Dairy European Dairy Association Agri-Food Chain E-Commerce Ecommerce Europe Retail Trade Borders Tariffs Exports Imports.